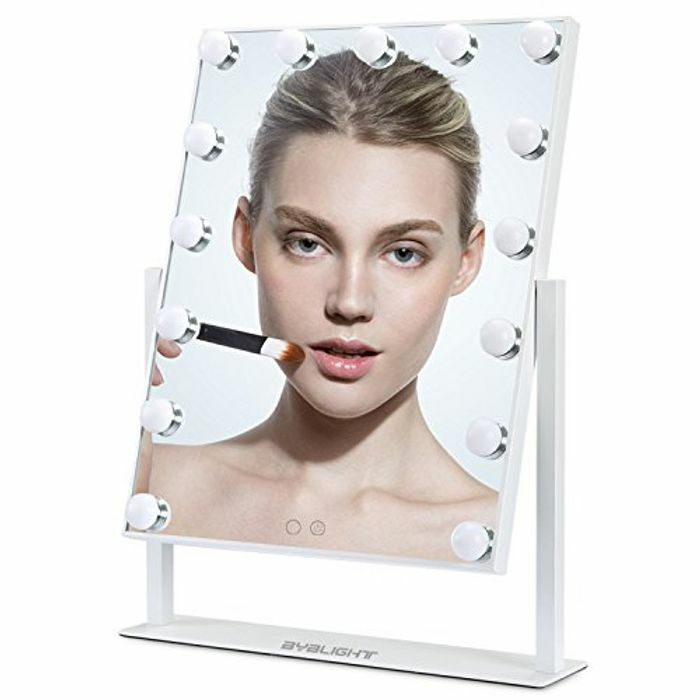 BYBLIGHT Hollywood Lighted Vanity Mirror with 15 Lights, Illuminated Make up Mirror with Dimmable LED Bulbs for Dressing Table, Large Mirror w/Touch Screen, Memory Function, White. There is a promotional 70% off link on the page bringing the 15 light mirror down to £26.99 from £89.99. I don't know how long the promotion is on but it's definitely worth buying for Christmas gifts or for yourself. Its brilliant I bought one,it's well made and looks great on my mirrored furniture. know what you think when you get it. A bit pricey but it's definitely worth it. Big price drop too So can't be all bad. All in all its still a good find!